The success of 2018 flowed into January 2019 with three orders for SSSC model Stainless Steel Magnetic Separators. All three orders are for different customers with specific metal separation objectives. The Stainless Steel Magnetic Separator has an extremely high powered magnetic head pulley to separate work hardened stainless steel. A standard magnetic separator removes strongly magnetic materials from the feed prior to passing over the SSSC. Commonly, non-ferrous metals are also removed using Eddy Current Separators. The customer had previously purchased Bunting Drawer Filter Magnets to remove ferrous metal from the shredded PVC. Following onsite discussions, tests were conducted at the Master Magnets testing facility. The initial tests demonstrated 100% removal of the stainless steel. The stainless steel items included the door mechanism and hinges. Larger scale tests were then conducted in the presence of the customer. These confirmed the separation performance and the client confirmed the order. Initial discussions with the client took place at the IFAT exhibition in 2018. The customer has a very specific fraction of metal scrap originating from car frag containing valuable stainless steel. Tests were undertaken at the Master Magnets testing facility. These met the separation objectives of the customer, who then confirmed the order for their first unit. 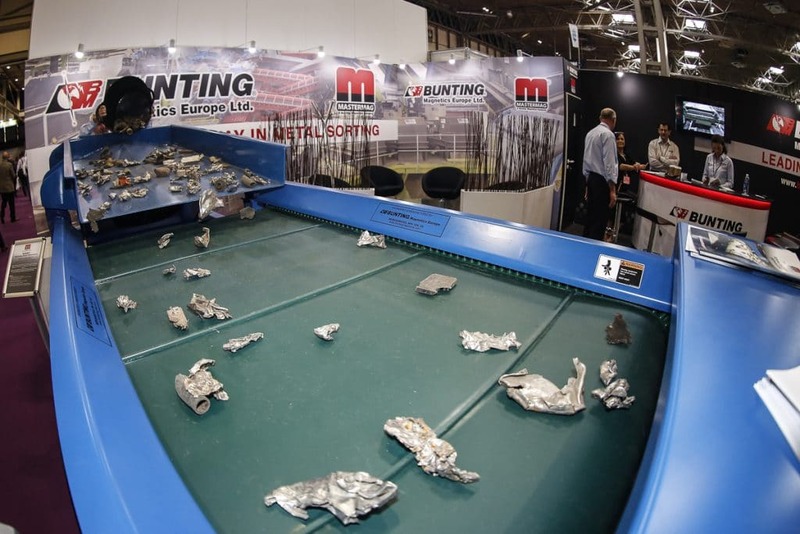 The Israel-based recycling company first met Bunting at the recent IERC Conference in Austria. After listening to the “Magnetic Separation of Stainless Steels” presentation by Don Suderman, Bunting Magnetics’ Material Handling Product Manager, they met the Bunting team on their stand. The order was placed soon after the end of the congress.